The first time I saw a PowerPot I wasn’t too sure what to make of it. I understood the basic premise well enough. A rather normal looking cooking vessel, it uses a thermoelectric generator built into the base of the pot to convert heat into electrical energy. 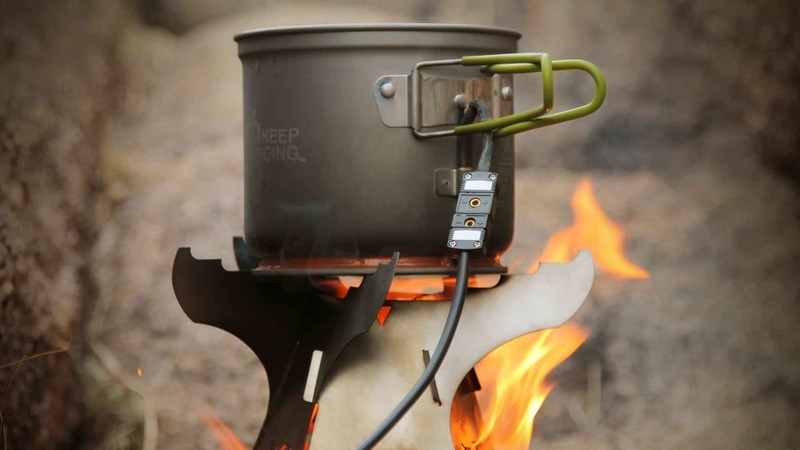 Users plug into the PowerPot, cook some yummy eats, and at the same time feed all of their power hungry gadgets via a USB cable. Sounds simple enough, but I needed to use it in a real-world backcountry setting to really get a handle on it. 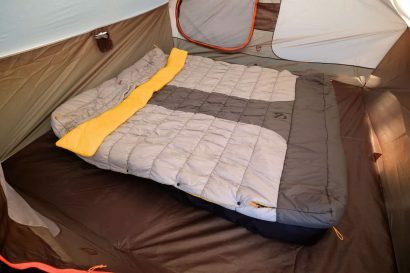 My first impression, one framed by my many years as a backpacker and ultra-light traveler, is that the PowerPot is not without some heft. The whole kit including the pot, charging components, and the bowl that doubles as a lid, weighs just over a pound. To put that into perspective, my preferred power source for my travels is a New Trent PowerPak Ultra. At just 13 ounces, it can store 14,000mAh of power and charge my iPhone up to seven times. I admit, I can’t cook my dinner with it, so that opened the door for the PowerPot to win me over. The other potential drawback is the size of the Power Pot. I wish the bowl/lid nested inside the main pot as that would have greatly improved its portability. Or, they could have ditched the bowl/lid thing in favor of a standard lid. Those issues noted, I’m still not ready to call them negatives just yet. Realizing the Power Pot is perhaps too big and heavy for my ultra-light trips, it is nonetheless a great size for motorcycle or vehicle travel. In my real world backcountry testing, I did find the PowerPot presented some immediate considerations. Like many backcountry travelers, I often cook with an alcohol or isobutane stove. My test PowerPot is the 5 Watt version which charges devices at twice the rate of a standard computer USB port, but it still takes quite some time to charge a phone. I charged my iPhone 5s from 22% to full charge and it took 81 minutes. That…was a tiresome endeavor, by the way. Clearly the ideal fuel source can’t be isobutane or even alcohol. It’s just not cost effective, and charging a phone to 100% would require a lot of fuel, further compounding the bulk and weight challenges. I would probably be more apt to use the PowerPot with a more efficient stove system like a white gas unit like my MSR Dragonfly. Better yet, a wood burning stove like the Mummert Phoenix in the above image. What I can say with conviction is that the system works exactly as advertised, and it is really innovative. It’s also a no-brainer to use, and near as I can tell is made exceptionally well. After a couple uses I’m still a bit on the fence, but that’s largely biased towards my personal travel style and needs for power. 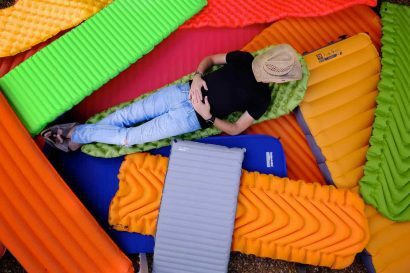 It does have some very minor quirks, but it clearly has tremendous potential for many backcountry travelers. If you happen to travel with one of the many compact wood burning stoves on the market like the Phoenix from Mummert, the PowerPot is a perfect product. Sticks are ubiquitous, and even better––they’re free. Using nature’s available fuels is the best way to maximize the power of the pot. I will also offer this: If you are thinking of buying a small solar panel––don’t. The one premium advantage to the PowerPot is that it works at any time of day, rain or shine, and at a fraction of the time it would take to extract power from the sun. 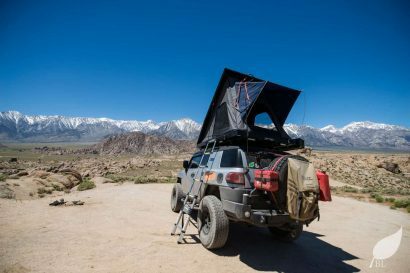 As a final word, I think every gadget laden backcountry traveler will first have to determine if they need to carry more power or make more power. If you fall in the latter category, few solutions for making power in the boonies will rival the PowerPot. On that score, it’s a very cool product.